When it comes to the lighting of railways premises or underground stations, there is a particular set of standards set out by the Rail Safety and Standards Board (RSSB). The sole purpose of the RSSB is to support the rail industry, continuously improve the level of safety, drive out unnecessary costs and improve business performance. For lighting designers, this acts as a foundation to build upon. From emergency lighting to accessibility, this guide is intended as the main reference point for the identification of standards and guidance documents required for the planning, design, operation and maintenance of lighting installations. As creatives love constraints, balancing function and form is a fantastic challenge for those in the lighting industry. 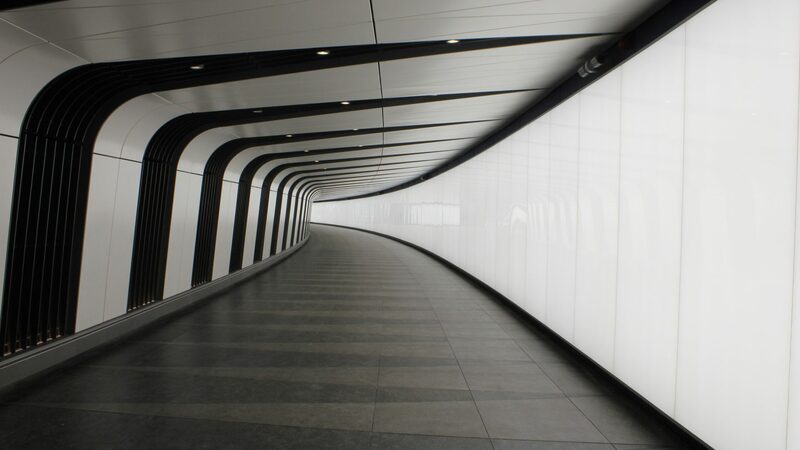 The Light Lab became all too familiar with the constraints posed back in 2014 when creating a new pedestrian tunnel with an integrated lightwall at King’s Cross Station, London. 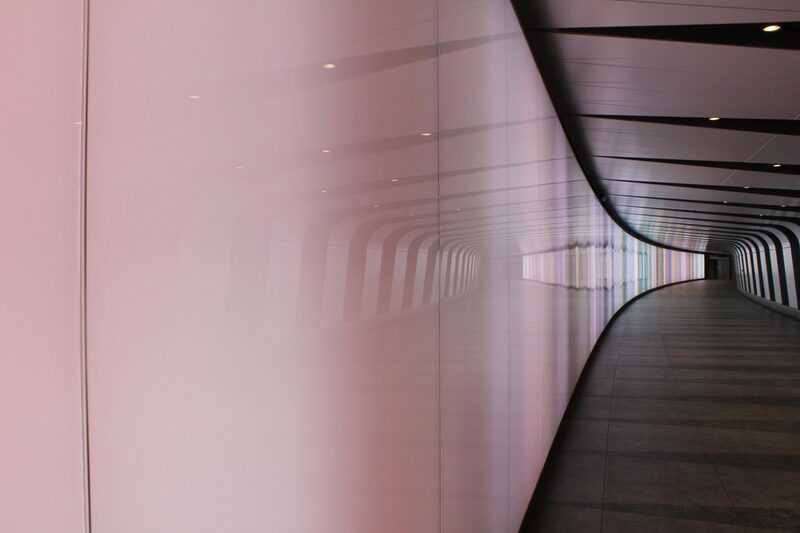 The 90m tunnel (one of Europe’s longest) starts at the north-east corner of the One Pancras Square building, and follows a consistent curve leading to the tail end, accommodating a changing slope into the two stations. The design of the subterranean passage is divided into four distinct areas, each with its own conceptual idea: the canopy, the fin section, the floor, and the integrated lightwall. Designed by Speirs+Major, and developed and implemented by ourselves, it uses LED lights capable of emanating the full RGB spectrum and also a white light spectrum. The combination creates a subtle and beautiful moving light show with no shadow lines. This amazing project gave us valuable insights into lighting as both a guide and protector that we have utilised in future projects, such as our recent work on Penn Station. King’s Cross Station was also at the centre of a discussion about lighting-based navigation systems, after last years Lighting for Rail conference in London. 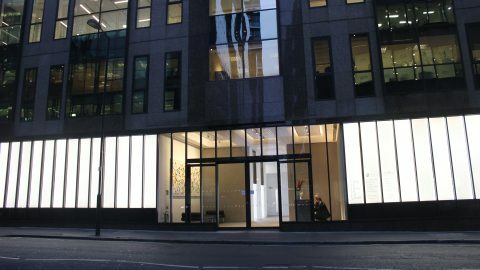 The systems that are currently used in retail lighting by companies such as Target and Carrefour are looking at alternative uses. The one installed at US retail company Target can guide shoppers through a store, detect where they are within 10 centimetres, and send them offers or even recipes based on the products they are looking at. It is suggested that lighting-based navigation systems can guide commuters through the station based on the ticket they have just bought or the journey they are taking. King’s Cross Station seems to be a crossroads where retail lighting sensibilities meet with the structured and functional approach of lighting design. 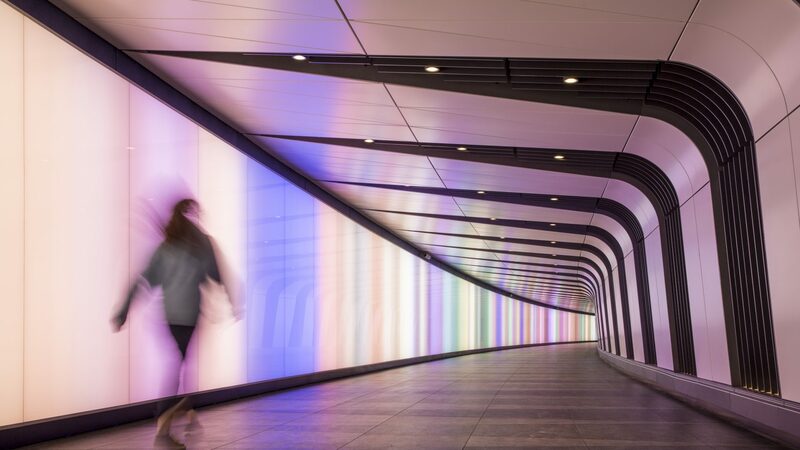 The Light Lab are extremely proud of the work undertaken on the London Underground and are excited to see how the station acts as a beacon that not only embraces lighting design, but also helps to shape its future.